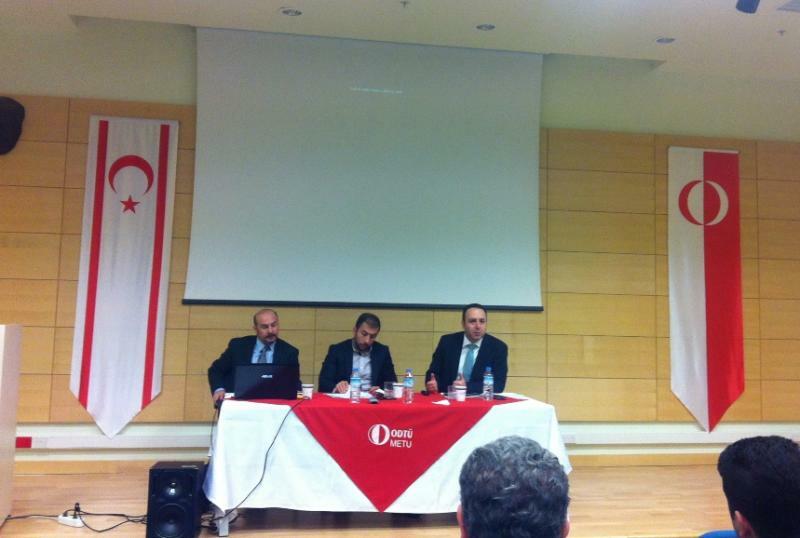 From April 13-15, Conflict Resolution Graduate students attended a conference on the multiple dimensions of conflict and conflict resolution in the Cyprus case, hosted by Middle East Technical University North Cyprus Campus. The conference included two days of excellent local and international speakers from academic, governmental, and international organization/NGO backgrounds who presented a variety of perspectives on the issue. While in North Cyprus, CoRe students took in the sites of Girne and Lefkosia, including a short trip into the UN controlled buffer zone. 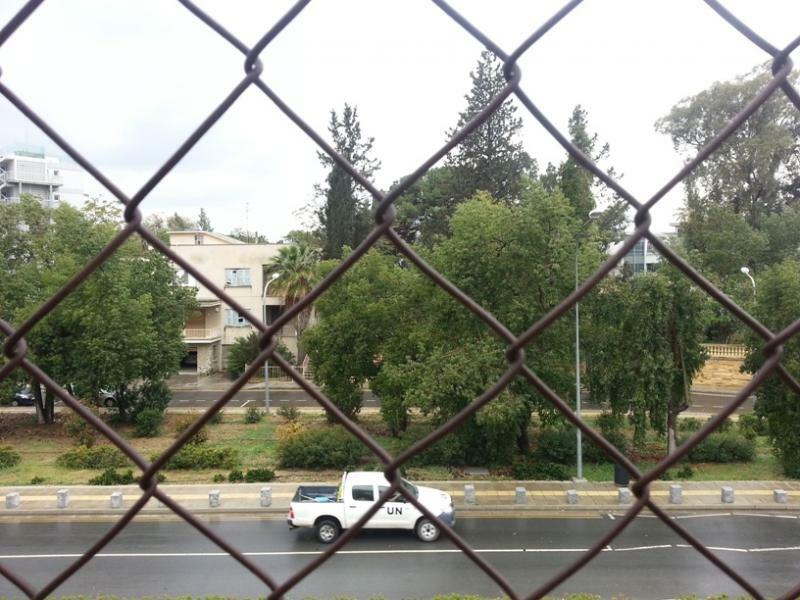 In the buffer zone students were able to see the iconic Ledra Palace Hotel, still marked by bullet holes and shrapnel damage, and across the street, a more positive joint vision for the future embodied by the Home for Cooperation. 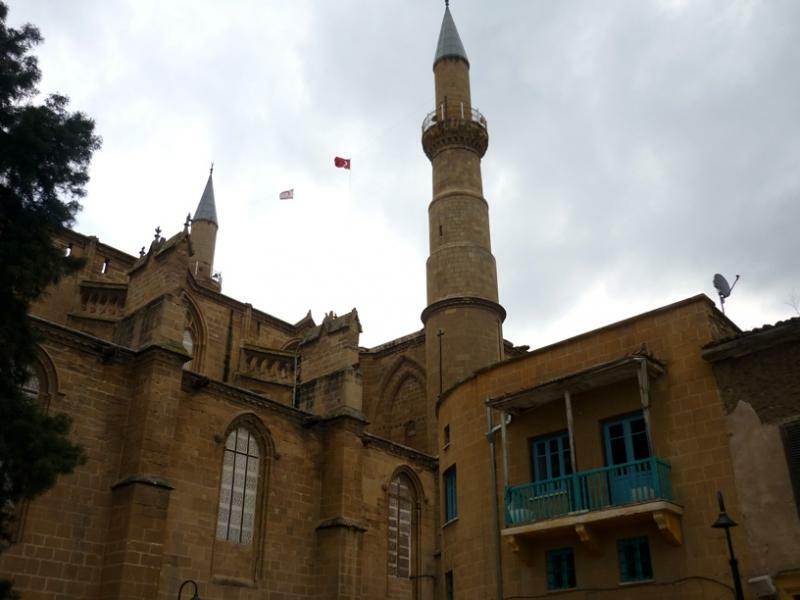 Students took advantage of their time in Cyprus to conduct a small research project on the role of Turkey in North Cyprus, focusing on analyzing representations of Turkish nationalism in public monuments and conducting interviews with residents on the topic. 1. 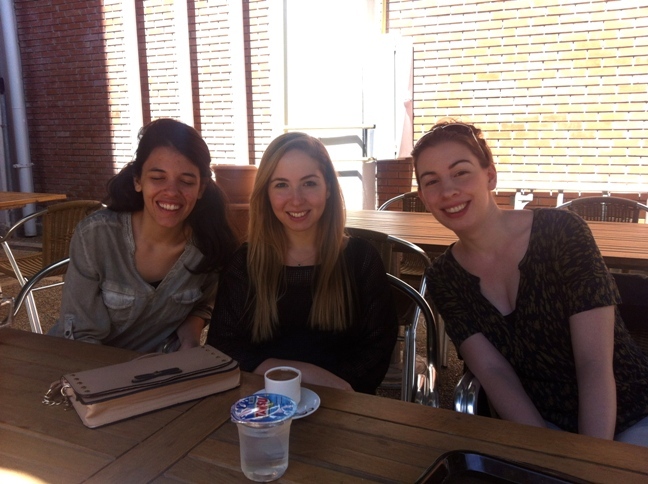 Students relaxing at METU NCC. 3. 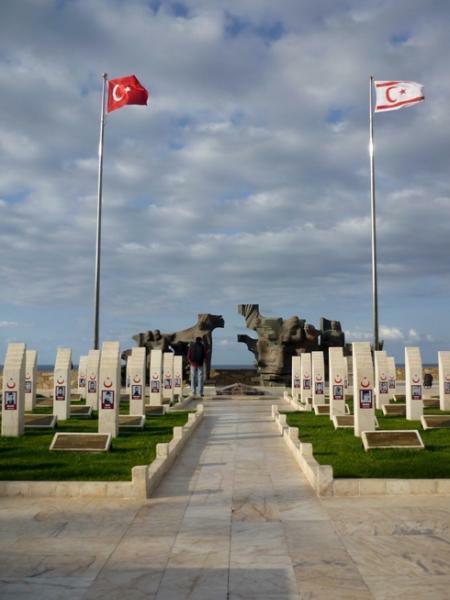 Memorial outside of Girne. 4. 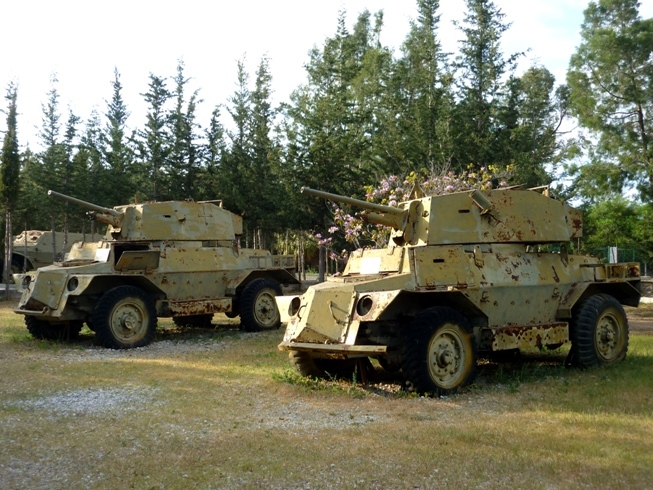 Open air museum of military equipment outside of Girne. 5. 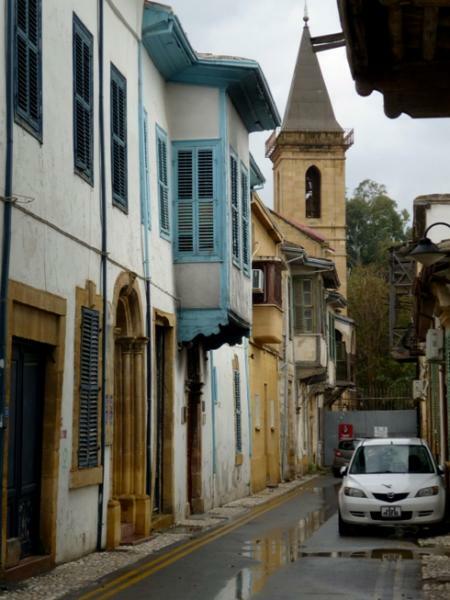 Lefkosia streets divided by the buffer zone. 7. 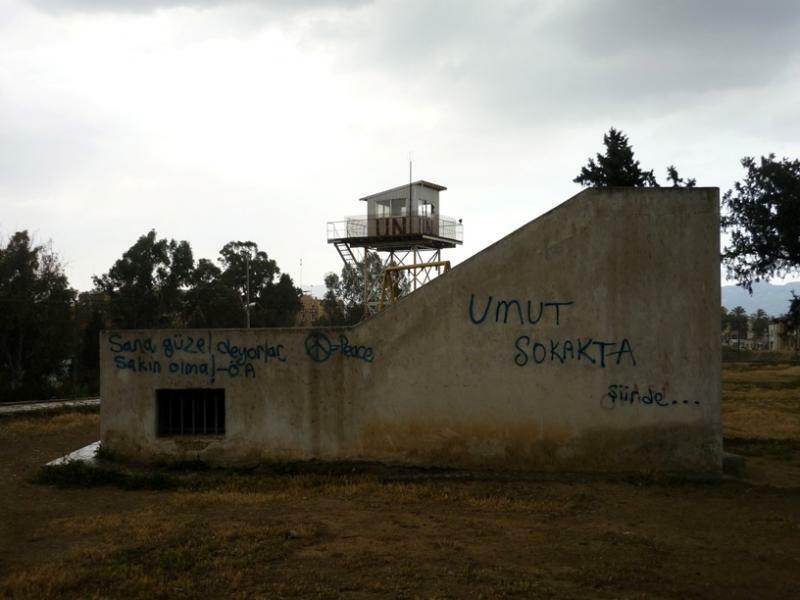 Defunct UN watchtower with graffiti next to the buffer zone, Lefkosia. 8. Looking through the fence in divided Lefkosia. 9. 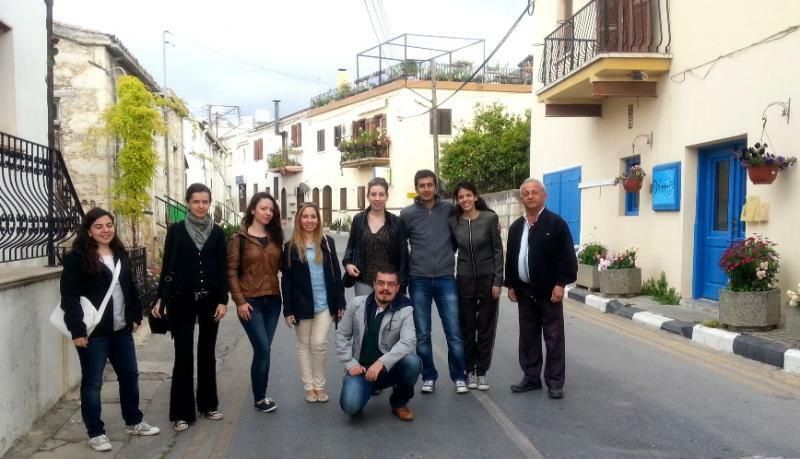 Group shot of students in Girne.